Time for a quick humble brag from the UCM PR Program. I’m very proud of my colleagues Dr. Tricia Hansen-Horn and Dr. Adam Horn. In addition to being all around quality people, they are also really, really smart. They’ve written a new book that will make us all a little smarter too. Public Relations Strategy, Theory, and Cases (Peter Lang Publishers) is just out and if you are studying or already working in PR, you’re going to like the opportunity to explore your profession through this book. At the UCM PR Program we’re all about strategy. It is the real key to effective communication with key target audiences. And strategy drives the learning opportunities in the Horns’ new book. The book is easy to read and use. It breaks down the case study as a powerful tool for learning. It involves the ability to read and apply theory like never before through clean writing and easy-to-use rubrics. The featured case studies involving March of Dimes Rebrand; Inside Pediatrics Children’s Mercy Kansas City; Vanity Fair Women Who Do LiftTOUR; TouchNet + Heartland; WeatherTech Public Relations Super Bowl Ad Buy; ZF Race Reporter/Fan Reporter: Europe, Japan and the US; Pinnacle Not So Silent Night; Lee Jeans—Influencer Relations; Fight CRC One Million Strong Collection; Tips for Kids—Seventeen Years Later are developed with “best practices” in mind and were written in cooperation with public relations professionals working behind-the-scenes in each case. The Dairy Queen’s Fan Food Not Fast Food Campaign: Retrospective Cases Analysis from the Outside is an example of the insights one can glean from intense research and retrospective sense-making. Many outstanding PR pros helped with the case studies. So if you’re looking for a great boardroom training tool or want to learn more about applying theory to training, check out Public Relations Strategy, Theory, and Cases. And, by the way, it’s affordable. Today’s guest post is from PR Program alumna Brooklyn Lutz, who comes to us all the way from Canada. Attending university has become a right of passage for many young Americans, as bachelor’s degrees are often viewed as the minimum requirement for getting a job. But are employers going to hire you just because you have a degree? Whether students realize it or not, many of you are not taking full advantage of the time and money you are spending on education. Too many graduate with the degree but without the necessary skills required to succeed in the job force; skills as simple as problem solving, decision-making and the ability to prioritize and complete tasks on time. INTERNSHIPS: I cannot stress enough the importance of internships. Before securing my first job, I held three internship positions in my field, trying out multiple disciplines in public relations and beginning to learn the ins and outs of the industry. But what I didn’t realize at the time, was that I was beginning to learn things on my own, without the help of my professors. I learned time management and task prioritization, as my managers provided me with several projects to complete, confident that I’d complete them all on time, in the order deemed most important. GROUP PROJECTS: Throughout your university life, you’ll participate in several group projects, so it’s important to take on a different role in each to help develop your team player skills. Once in the workforce, you’ll encounter opportunities to lead a project, support in a logistical role, develop strategies, provide counsel, and do the executing, so it’s important to have the necessary skills for each. In teams, problem solving, decision making and time management are all extremely important. ASK QUESTIONS: Regardless of your position within a company, questions are the key currency. Possessing the ability to ask strategic questions will allow you to uncover imperative details related to your projects and illustrate to your leadership/management team that they can trust you to get a task done. Asking the right questions is the first step to problem solving and will get you that much closer to finding a recommended solution. Make sure you don’t become a statistic. Brooklyn Lutz is a senior account executive on the client strategy team at Edelman Canada. Working as the day-to-day lead on her projects, she uses the skills she learned while in university to effectively manage projects and solve various issues brought to her attention. Brooklyn is a UCM PR graduate and a past president of the Robert L. Kendall PRSSA chapter. Here’s a short video of Brooklyn explaining PR for our students. Here’s an article from Ragan’s PR Daily that features advice from UCM PR Program Alum Robert Fischer about how he uses a tool called CoverageBooks in his work. It is great to see our alums making news. Please make sure you pass along any mentions of your work too! 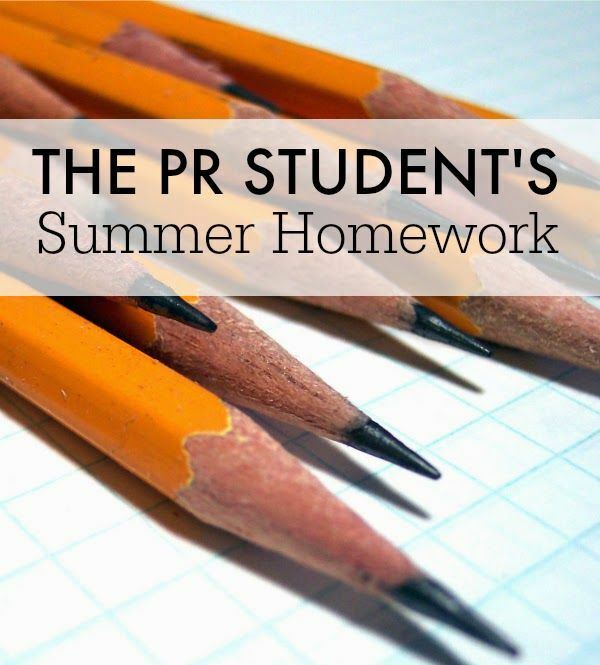 “If anyone is interested in learning about the resources PR pros use today or adding to their current arsenal, here’s a great article to assist. I’m featured sharing my tool I recommend for press clippings and reports. PR pros love their tools, but with so many to choose from, how can you tell which are truly effective? To get some advice, why not ask communicators already on the job? PR pros are always happy to share their favorites, which include newer solutions as well as old standbys. Matt Falso, director of brand strategy, Soteryx Corporation, has other recommendations. “I’m a big fan of both Box and DropBox for file sharing,” he shares. For media list management, Falso prefers Cision, “but for distributions, I like the interface and functionality of Meltwater better,” he says. PR Daily readers, which tools do you use to make your job easier? 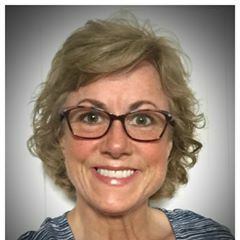 Michelle Garrett is a PR consultant and writer at Garrett Public Relations. Follow her on Twitter @PRisUs or connect with her on LinkedIn. The day after our Thanksgiving celebration can bring more holiday excitement, or thanks giving can simply continue. As I think of the UCM PR program’s alumni and the powerful positive impact they’ve made since leaving us, I find myself deeply thankful. They make my job easier and, in fact, are often the key to student success. Alumni engagement plays a vital role in higher ed success. Our alumni have a history of making profound impacts on our program and in students’ lives. While hard to find just the right words to tell how important you are to what we do, it’s still worth a try. In a nutshell, we are deeply grateful and admit that we can’t do it without you! Luckily, the UCM public relations alumni are highly engaged with us and willing to mentor student after student. It’s an amazing culture of giving back. Why, just in the fall 2017 semester more than 50 alumni engaged with us directly in some way, whether that be visiting campus and speaking to students, arranging internships, participating in our annual PR Pro Day, visiting with interested students via Skype or Google Hangouts, serving as class clients, mentoring our Innovative PR student agency, providing professional advisory board insights, teaching for us in an adjunct capacity, providing behind-the-scenes access to businesses, giving generously to the UCM PR program fund, or serving as an IPR client. In fact, three #teamInnovativePR specialists just returned from a fantastic #EngagedLearning and #LearningtoaHigherDegree experience in Los Angeles, all led by alumnus and Fuegorita client Tony Winders. Visiting FOXLA and Ogilvy, conducting observational research at prominent pizza restaurants, and brainstorming for a hot pepper blend client, are all something to talk about. It’s opportunities like these provided to IPR specialists that help us produce ideal graduates. We work hard to produce ideal PR graduates, but we necessarily depend on our alumni to do it. So, UCM PR alumni, hear us clearly — we offer our thanks. Please stay involved. And, thank you from the bottom of our hearts. Today we’re thrilled to have UCM PR Program alum Cory Bittner as a guest blogger. He has some great advice for all of us. My name is Cory Bittner and I am the Chief Op erating Officer and Co-Founder of Falcon Wealth Advisors in Mission Woods, Kansas. I’ve been fortunate to spend nearly eight years in the Wealth Management industry and in 2016 had the opportunity to launch my own practice alongside my business partner with the support of our staff from our previous employer. The technical competency and understanding of the intricacies that drive the capital markets are a prerequisite to serve as a wealth advisor. Over the last several years I’ve capitalized on opportunities (and lucked out things broke my way) to affiliate with prestigious organizations, and educate myself at one of the world’s top business schools. However, I am routinely astonished at the general public’s lack of financial literacy. I’m not talking about P/E multipliers or implied volatility. I am referring to topics that that ought to be instilled in all of us at a young age. My intention is to touch on a few different subjects, from a 30,000-foot perspective, to highlight topics that I wish someone would have explained more clearly to me when I was 18-22 years old. Saving/Compounding – Let’s face it, we are not part of the pension generation. New workers today are shouldering more responsibility planning for their own future. If you’re fortunate enough to have a job where an employer-sponsored retirement plan is available to you, and perhaps your employer is even willing to match a portion of your contributions, it is foolish to not take full advantage of that benefit. An employer match on your own savings is free money! The benefits to saving early in life have been well-documented (see page 16 in link provided). Buying Your First Home – You’ve graduated college, perhaps you’ve had roommates/rented your own place for a few years, and you’re contemplating making what’s likely your first major purchase. Hopefully you’ve set money aside the last several years to make a down payment. If not, consider the additional expense of mortgage insurance. Purchasing a home where you cannot afford to put down 20% of the cost means you’re probably out of your price range. Don’t rush the process, but make sure that if you’re not building equity in a home (if you’re renting), make sure you’re doing so elsewhere (like the stock market). Debt Management – I hope you’re lucky enough to graduate college without student loans! If you’re not, that is okay. You’re one of the Americans that collectively owed more than $1.3 trillion in student loans at the end of June 2017. Research has shown it takes the average bachelor’s degree holder 21 years to pay off student debt. Investing in your education is investing in yourself. That said, don’t put your head in the sand when it comes to the details of your loan(s). Six months after graduation, payments will begin, and you’re going to want to understand how much money you borrowed, and how much interest you’re going to pay over the next 21+ years. Ignorance is no excuse! When I first declared Public Relations my major at UCM, I did not have the slightest idea the career path that would take me down. I attribute my ability to think critically about the details while viewing the big picture to the UCM PR Department. I learned, as Theodore Roosevelt famously said to, “Do what you can, with what you have, where you are.” Resourcefulness should never be discounted. These are life skills that I’ll forever be grateful were taught to me. My hope is this post highlights another proficiency, Financial Literacy, that may help prepare you for what lies ahead. We’re sharing a great article today from our friend Tressa Robbins at BurrellesLuce in St. Louis. She has some great advice for our students. It was originally posted here on Culpwrit.com. If we could be so bold we would make number 10 on the list, be sure to tell anyone you know who is coming to UCM to check out PR as a potential major. Anything else you would add? Set short-term goals. For example, attend at least one professional industry networking event over the summer. And, read industry blogs and/or articles and comment on at least one each week. Set long-term goals, write them down and number them in order of importance. For example, attend at least one industry professional networking event per semester. And/or get involved with on-campus pre-professional organization (such as PRSSA or AMA). Work on your portfolio. Gather writing samples–or create some by volunteering to write a guest blog post, or better yet, start your own blog. Be sure to include any public relations or marketing plans you’ve created, press releases, anything written in AP Style, research papers, newspaper clippings, presentations, creative design samples, reference letters, special certifications, etc. If you haven’t yet created an online portfolio, do so. The earlier you begin, the more prepared you will be come graduation time. NOTE: If you are including any work that was done as part of a group, be sure to notate this and identify which part you actually did. Develop your elevator pitch. You should have a 15-second blurb that is memorable and opens a window to your personality, your passions and your mindset. Not a laundry list of skills but rather what you can offer to a potential employer–why would someone want to hire you? Practice OUT LOUD. Use your phone to video yourself so you can play it back, listen, observe, and make improvements. Clean-up and hone your online presence—including your social media accounts. Check your privacy settings (and check them again). Google yourself (be sure to ‘hide private results’ by clicking Settings)–and don’t forget Yahoo and Bing (yes, some people actually use Bing). If the first page results do not represent who you are, immediately begin digital damage control. This is even more important if you have a common name and can easily be confused with a dubious doppelgänger. Seek out and follow industry leaders so you can network and learn from the professionals, not just fellow students. – Not sure what “digital damage control” is? Here are some tips from Forbes. – Don’t think employers are using the Web and social media to research job candidates? Read these recent stats from Career Builder. Participate in industry-related Twitter chats and take advantage of free webinars or Facebook Live professional events–especially explore topics that are not covered in the classroom or an area of specialty you’re considering. PR professionals are, in themselves, “brands”—it’s a very competitive industry. Your business cards, resume, online portfolios, etc. should present a cohesive message. Work on ensuring that all these match your “brand.” Your reputation is one of your biggest assets. Research agencies, organization, companies that you would like to intern with or work for. Reach out to them and request an informational interview. Face-to-face is best, of course, but live video chat works, too. Ask what (coursework, degrees, activities, skill sets) they are looking for when hiring. Ask, given identical academic backgrounds, what makes some candidates standout above the rest–and what makes some of them instantly get weeded out. Volunteer at a local non-profit and offer to help with public relations, marketing, social media, blog content creation, special events. This is experience—it all counts! If you are a student or recent graduate, what have you done (or are doing) to progress your career? If you are a PR professional, what else would you advise students (or young PR pros) to be doing in preparation for their careers? Tressa Robbins, a BurrellesLuce VP, PRSA St. Louis board member and PRSSA professional adviser, writes for the BurrellesLuce blog, where this guest post first appeared. She contributes to other blogs, including her own–Tressa’s Truisms–and speaks at various PR-related events. You can connect with her on Twitter @tressalynne. We thought you might enjoy hearing from one of our students about the UCM PR Program. Blake Hedberg submitted this winning video essay about the program for the UCM PR Scholarship. Blake is about to head to grad school and will continue his role as the manager of our student agency, Innovative Public Relations. He talks about what is important to him about the program, it is great perspective…feel free to share it with a friend, especially if you know someone who is looking for a great major! We’re excited to share this guest post from UCM PR alum Tony Winders. Tony joined our program advisory board recently and was kind enough to spend a day talking with UCM PR students before our Spring meeting. This post originally appeared on his blog at his website http://www.tonywinders.com. Be sure to keep up with the program on our website at www.ucmo.edu/pr. When I decided to travel back to my alma mater, the University of Central Missouri, for the 50th reunion of my Lambda Chi Alpha chapter, I offered to speak to the public relations undergrads and Dr. Tricia Hansen-Horn graciously accepted. Throughout the day, last Thursday, I had the opportunity to speak with more than 120 students. A “gem” of an impact on youth like me!